You can earn 1200 yards with this purchase! 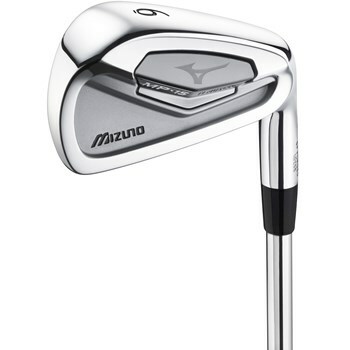 The Mizuno MP-15 iron set is a nice balance of tradition and technology for today’s better player. At address the MP-15 features the classic MP design, compact with clean lines, designed to enhance both feel and workability. It is forged directly inside the 1025E steel framework and has a re-engineered Titanium Muscle insert, which maintains thickness behind impact for solid feel, while allowing weight to be shifted to the perimeter to provide “full cavity” forgiveness. The perfect blend of classic looks and high-tech forgiveness. Ti Muscle: Delivers increased forgiveness with solid feel. Grain Flow Forged 1025E “Pure Select” mild carbon steel and pure titanium combine to provide the ultimate soft, solid and consistent feel. Tour Proven Sole and Compact Head: Deliver consistent turf interaction for enhanced control and workability.